Kimberly Frith is a LEED Accredited Professional with a diverse background in green building certification and project management. Early in her engineering career, she chose to focus exclusively on green building projects. Prior to establishing Alto Sustainability, LLC in 2013, Kimberly was a full time sustainability consultant at a large engineering firm where she was responsible for managing the LEED certification process for multiple projects located throughout the country. Her experience includes LEED consulting, energy modeling, and commissioning for commercial offices, multi-family residential, governmental and hospitality projects. She has served as the LEED consultant for over 95 LEED registered projects, 45 of which have already achieved certification at levels ranging from Certified to Platinum. She has ten years of experience utilizing the LEED for New Construction, Commercial Interiors, Core and Shell, Retail, Schools, and Existing Buildings: Operations and Maintenance rating systems. 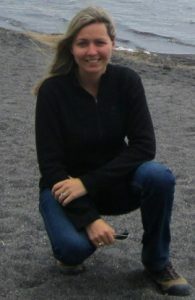 As the Owner and Principal Consultant at Alto Sustainability, her current role includes managing the LEED certification process including managing credit forms, reviewing energy models, performing water savings calculations, providing peer-review of LEED documentation prior to submission, and documenting sustainable construction practices. Her experience performing and reviewing energy models combined with her knowledge of mechanical, electrical and plumbing systems provides specific insight into energy related green building issues.